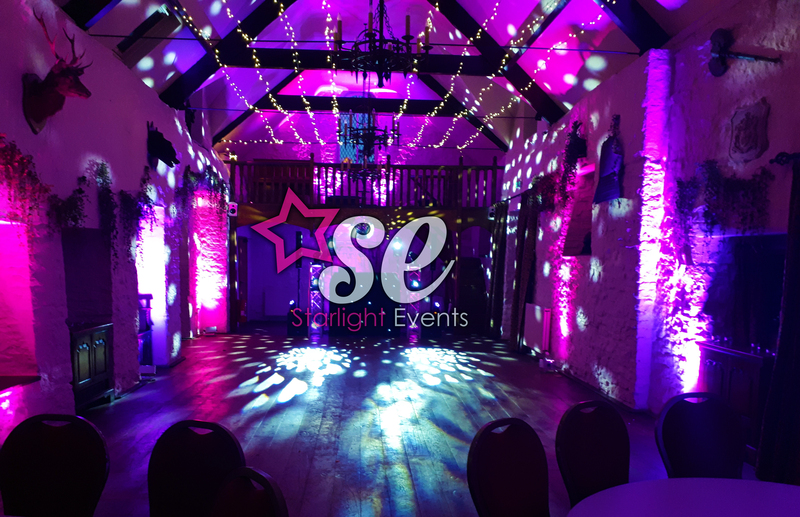 Our Uplighting Hire is available to all venues across South Wales. 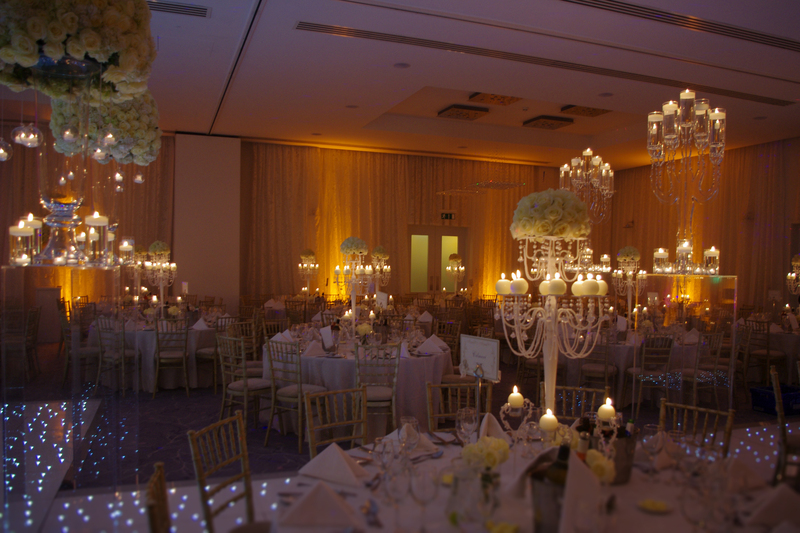 We will tailor our uplighting service to match your requirements. We use the very latest in LED wireless, battery powered fixtures – we’ve been using them since 2012 and have more experience in this technology than any other company in the country. You can either tell us what colours you want for your event or you can leave it up to us to create a breathtaking effect. We have over 100 uplighting units at our disposal. These include both indoor and outdoor fixtures. 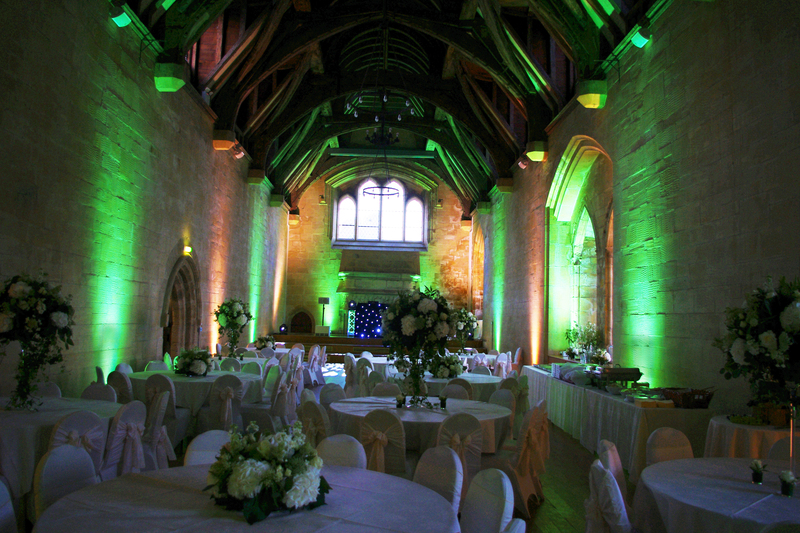 Because we use the very latest technology, we can provide uplighting hire in any colour you wish. Not only that, but we can add warmth to the colours to give your South Wales venue the welcoming feel. If you’re planning on having pale colours, we can even do these too! We can install our uplighting efficiently into your wedding venue. We will set up the uplighting at a time we’ve agreed upon and then remove it after your wedding has finished. This means you get this lovely effect for the whole of your wedding night. Whether your venue is small or large, with our massive stock, we’re able to supply our clients with the appropriate number of uplighters for their event.